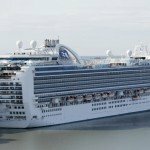 When Diamond Princess cast her lines and sailed away from Sydney recently, it marked the end of her foreseeable future in Australian waters after several seasons of loyal service. 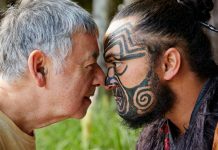 In her place, Princess Cruises has decided to shake things up by bringing Emerald Princess to Australia – the largest and newest ship to ever sail for the line in Australia. 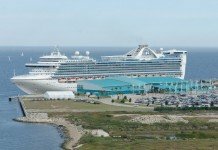 Upon its maiden arrival later this year, the ship will take on the role as Princess Cruises’ local flagship. At 114,000 tonnes in size and with space for 3,080 passengers – over 400 more than its predecessor, Emerald Princess brings to the table numerous design differences that allow for better passenger flow onboard, giving the impression it is more spacious even with the additional guests. 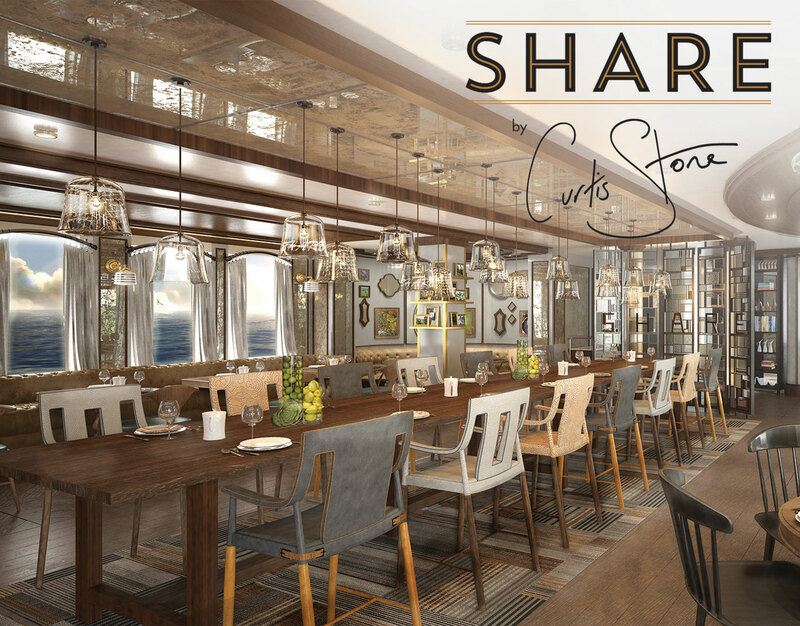 Celebrity chef Curtis Stone’s new restaurant concept SHARE will feature on Emerald Princess upon its arrival. 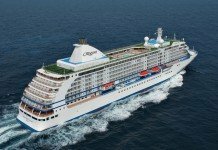 By the time Emerald Princess reaches our shores, it will be the second ship in Australia to feature ‘SHARE by Curtis Stone’ after fleet-mate Sun Princess, which will be fitted with the new dining experience later this month. The celebrity chef’s new concept is designed around a menu of gourmet dishes served as handy share platters aimed at bringing diners together to get to know each other over fine dining. 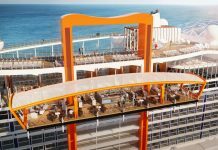 To be located at the back of the ship on Deck 16 on Emerald Princess, diners will be seated above the rear pools, where a view of the ship’s wake will also be possible. Despite having such a high-profile name attached to it, SHARE by Curtis Stone will attract diners through its high value proposition, with one of the best value cover charges at US$39 per person (excluding wines). 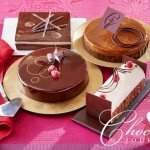 To preview the menu, CLICK HERE. 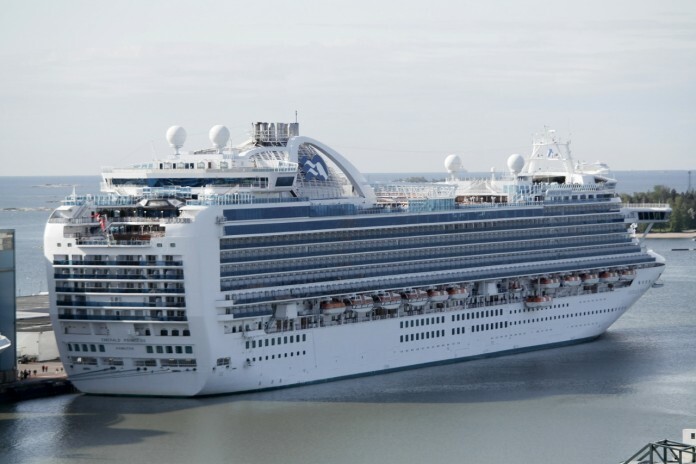 Emerald Princess will offer a similar design to this, as seen on sister ship Grand Princess. 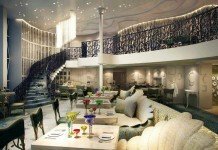 Situated in ‘The Piazza’ in the ship’s central atrium, Vines plays host to some of the best people watching aboard the vessel and will also be popular as a pre-dinner drinks venue. 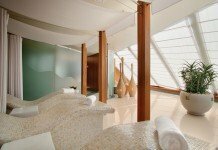 Featuring a selection of wines to rival the greatest cellars in the world, guests can take a glass by glass journey through unique wine labels along with numerous other tasting experiences. Guests who buy a drink will be offered a selection of tapas and sushi on rotation each evening to accompany their beverage. Better seating options will be available for Movies Under the Stars on Emerald Princess. 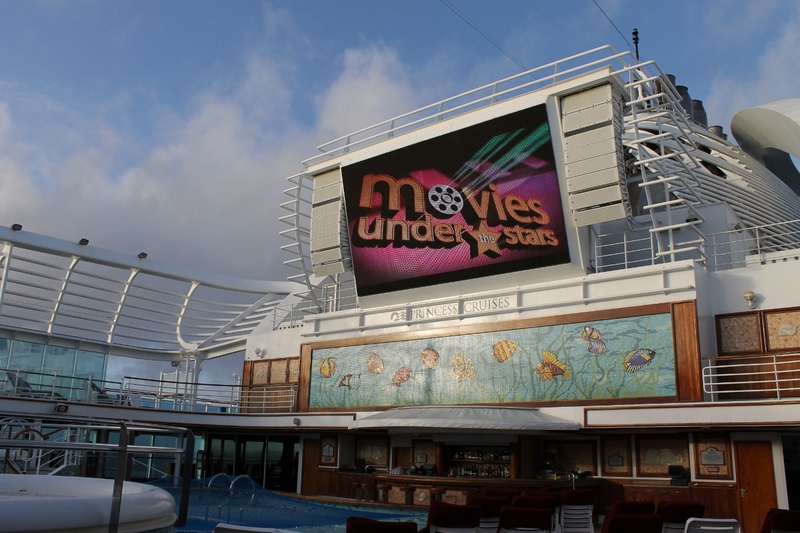 Due to Emerald Princess not featuring an enclosed pool, Princess has repositioned the ‘Movies Under the Stars’ screen to the centre of the ship in order to take advantage of a tiered seating structure. 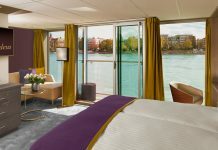 Guests can now get a better view of the big screen with lounges on two decks offering a decent view. This also removes the awkward viewing angles found on sister ships like Golden Princess and Sapphire Princess. 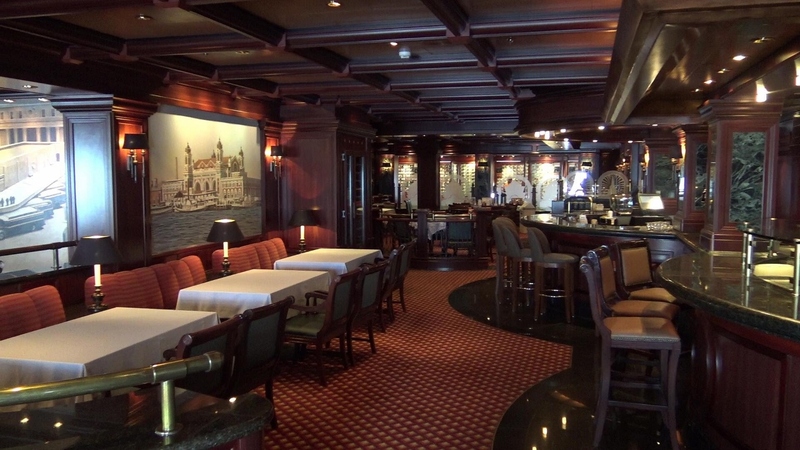 The Crown Grill steakhouse is always a favourite with Princess passengers. Australian travellers savoured a taste of Crown Grill for the first time this past summer, as the venue appeared on Golden Princess, based in Melbourne. Now on Emerald Princess, the signature steakhouse takes over a dedicated space on Deck 7 with Australian cruisers enjoying a menu expanded from what is currently offered in the Sterling Steakhouse aboard the existing local fleet. Emerald‘s Crown Grill also accommodates a higher number of guests, increasing your chances of securing your preferred dining time. 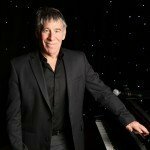 Remember to book early! 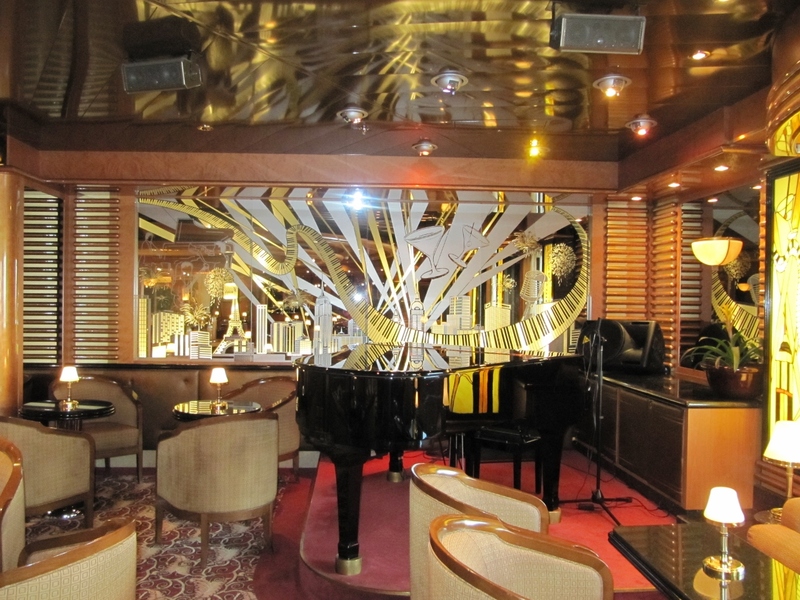 Enjoy a beverage while listening to some classic hits by piano in Crooner’s Bar. 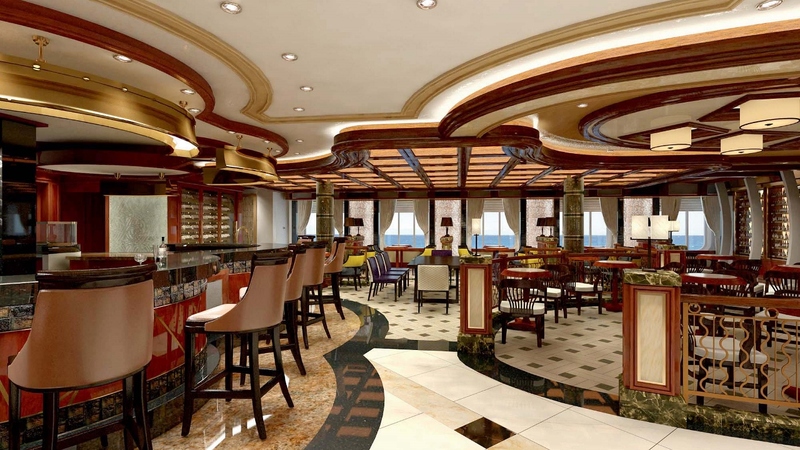 On Emerald Princess, the popular “Crooner’s Bar” has been relocated to allow for an almost doubling in size. With expanded seating areas and better lines of sight, Crooner’s has evolved into an exciting night-time entertainment site in its own right rather than a quick pre or post dinner spot. 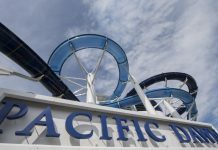 Some other points to note about Emerald Princess is that if you have cruised previously aboard Diamond Princess, you will most certainly have noticed the indoor Calypso Pool. 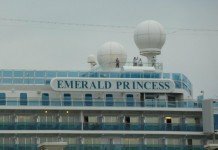 This popular feature is no more on Emerald Princess with the ship sporting an outdoor top deck. Further, the number of main dining rooms has been reduced, from five themed dining rooms aboard Diamond Princess to three larger spaces on Emerald, this has greatly increased the number of tables available for anytime dining. 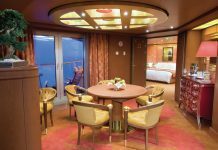 The “Botticelli Dining Room” for guests preferring traditional seating times has also been expanded and now located aft on Deck 6. 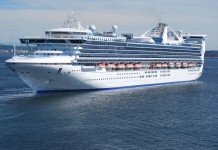 Emerald Princess will sail into Sydney Harbour in November for its inaugural series of sailings, which runs until April. 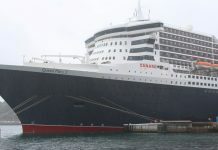 She will run regular cruises to Tasmania, New Zealand and the South Pacific before heading to North America next winter.